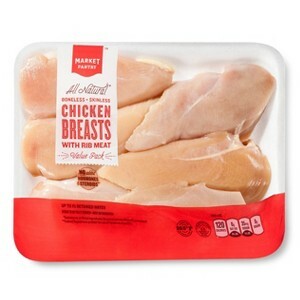 HOT: 40% OFF Fresh Chicken at Target!!! - Full Price...For What?! HOT: 40% OFF Fresh Chicken at Target!!! Head over to Target where now thru 10\1 you will snag an additional 40% OFF Fresh Chicken with this HOT Cartwheel Offer. All Brands of Chicken are included so this will make for a pretty amazing deal if you work it right. I will be on the hunt for clearance chicken to lower my OOP!